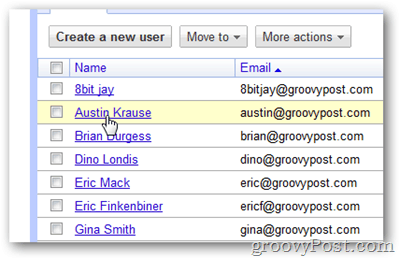 Google Apps lets you easily delete user accounts. 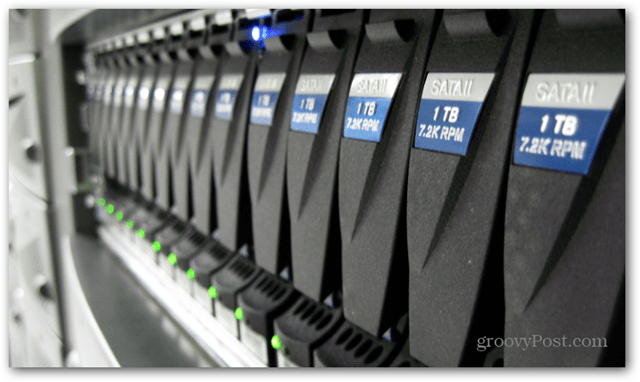 This permanently deletes all Email, Contacts, Documents and Calendar items. This isn’t good if their manager needs to access the information for historical or legal reasons later. 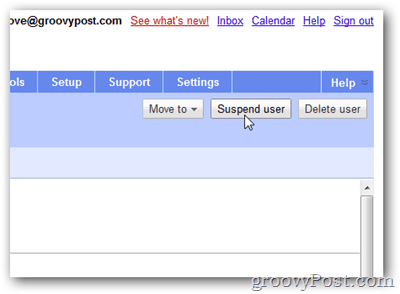 The Google Apps user administration tool solves the problem by allowing you to suspend an account vs. deleting it. Once suspended, the account can no longer log into new email or calendar invites. It will all be blocked. 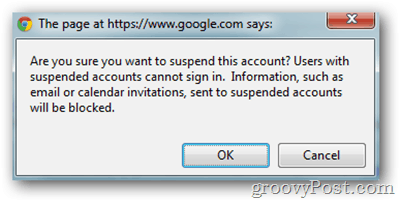 Here’s how to suspend an account in Google Apps. 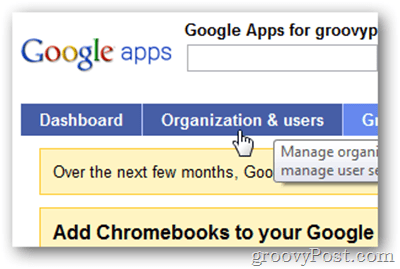 Log in to the Google Apps Administration Dashboard and click the Organization & Users tab. Click the user you wish to suspend. Click Suspend user button on the top right of screen. Click OK to confirm the warning regarding the request to suspend the account. Now when you look at your account list, each account you’ve Suspended or Disabled will have a status of Suspended. Sometimes I think groovypost can read my mind ;) Just the post I was looking for – Thank you. Obviously I knew that. And yes, go for the Pizza tonight. The fish looks….. compromised. Can this be done as a bulk operation? If so, how? 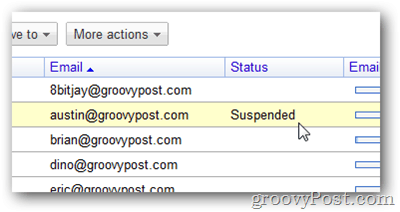 Hi steve, what happens if the administrator remove google email user. Do not automatically pay again, or have to report to google for not paying this account. It’s my understanding that if you pay monthly or yearly, it’s paid in advance. So no refund if you remove ppl however you will have a buffer to add a new person. Then at renewal, you will renew only those on the system.